This shooter holds 1.5 oz. and is perfect for promoting restaurants, festivals, and breweries. 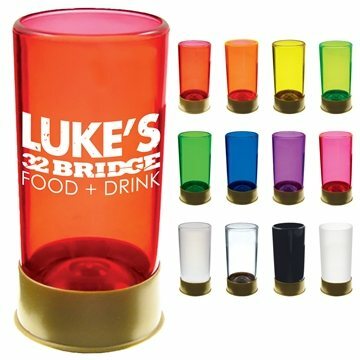 Personalize this shooter with your company name and logo to solidify the presence of your brand. Our guests love them!! liked quality most and imprint. I have appreciated AnyPromo's working. Excellent customer support. the product was greater than the quality expected. Very pleased with the printing as well. Thanks! Awesome cost. Simple, useful, and inexpensive.